Lars Stoweue a medical practitioner from Great Britain, has already provided significant help to the mission after the earthquake in February 2010. Meanwhile, the cholera epidemic is spreading quickly. 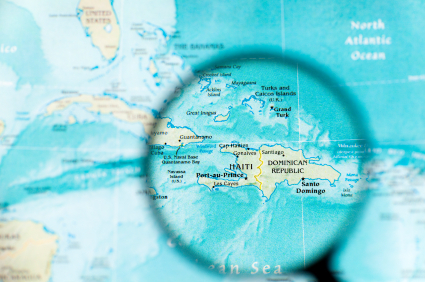 Jacmel and Port-au-Prince, where three ROCOR mission parishes are located, are reported to have been hit the most; seven members of the mission have been hospitalized, and two are on the way to recovery. The others are anxiously waiting for the water purification tablets and medicine purchased for them by the Fund for Assistance. “The situation is dire. [Cholera] kills within an hour or two. Most people cannot even get to the clinics set up by the World Health Organization because they are far, and healthy people don’t want them next to them,” said Matushka Sophia McKenzie, wife of the ROCOR mission in Haiti administrator, Archpriest Daniel McKenzie. Medicine for the mission has arrived in Haiti a few days ago, but mission members have been unable to receive it without a doctor. Stoweue was stranded in the Dominican Republic and looking for a way into the country. He finally drove to Port-au-Prince from Santo Domingo on Sunday. The mission hopes to receive and start distributing the supplies today. “We are hoping that thanks to the medicine, water purification tablets, and most of all, the medic’s personal instructions, they will be able to avoid the worst-case scenario when it comes to cholera. If our parishes can handle the problem early and fast enough, they may not be any casualties,” said Matushka Sophia.